Impressions of this city depend much on what you have visited before being introduced to it. After Los Angeles it may seem very business-like and culturally rich, after New York – provincial and old-fashioned somehow. In any case, it has a bright and memorable face of a gentleman from Massachusetts. People with completely different interest will discover something to their tastes in it – there is a facet for each. 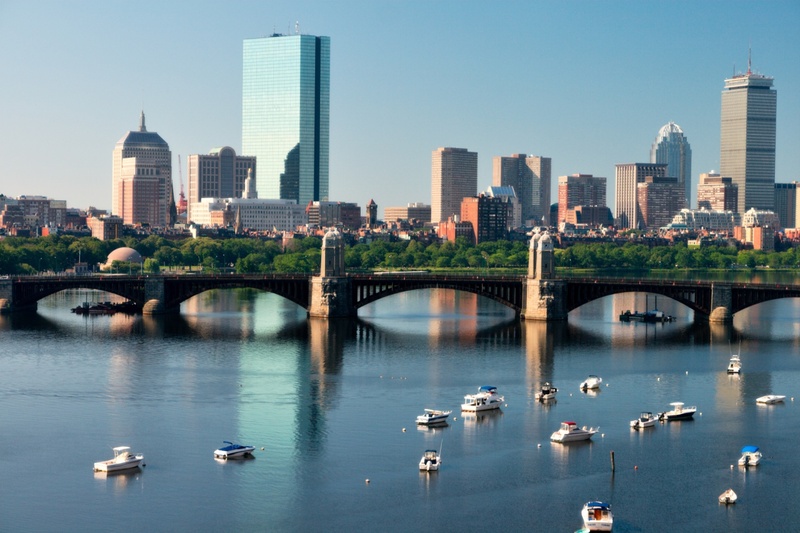 You should start acquaintance with Boston with a textbook in history because without knowing certain facts it is hard to appreciate global scope of this cozy town on historical map of the United States. In particular, it was there where Boston Tea Party took place to break the ice of the American Revolution that led miscellaneous colonies to independence. Streets are still full of the spirit of those events and it is supported and fostered by all means. 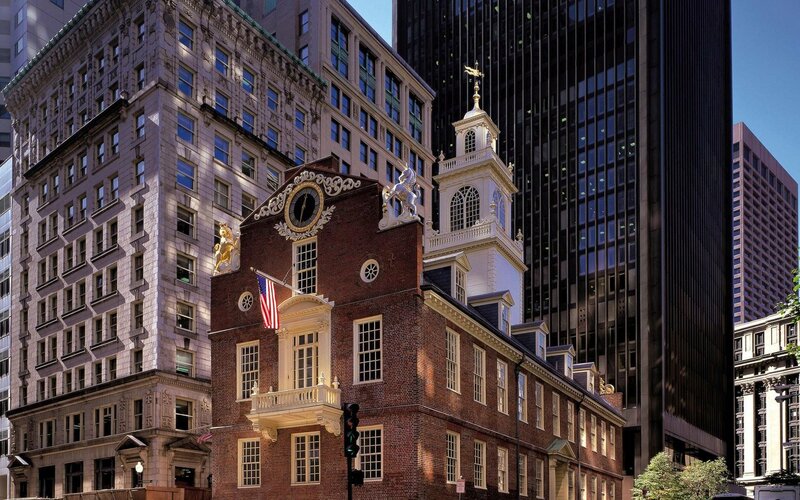 Tourists are recommended to make sure to take a walk along the Freedom Trail that was founded and marked in 1953 on suggestion of one of local journalists with initiative. It is a 4-kilometer long route in the centre of the city arranged in a manner that it is impossible for one to lose it. All you have to do is follow red brick road and read one information plate after another about sixteen landmarks. It isn’t over-extended and paints general picture about important events that took place there. Photo static1.squarespace.comFreedom Trail begins in America’s oldest park Boston Commons and though it is smaller than legendary Central Park in New York, there one can find shadows of trees, bicycle lanes and a nice water basin. After some rest on the island of nature, you can have a look at the Massachusetts State House and Park Street Church, drop by Granary Burying Ground, pay respects to the great Benjamin Franklin whose monument is installed in the place of the first public school, visit ancient Old Corner Bookstore and also see other remarkable buildings. Each of them, probably, deserves own feature – not just a cursory glance. The one to conclude the tour is the oldest preserved sail ship called Constitution that looks pretty uncommon by the shore of modern America against the background of skyscrapers. At that you can consider historic bare-bones agenda complete and can safely move to next items in the list. Historic monumentality, uncustomary as for the US, isn’t the only thing that impresses there. For instance, my personal friendship with Boston began with strikingly convenient public transport. Everyone who has travelled around America, especially its central and western states, knows that it is not the strongest side of otherwise immensely developed country. The more pleasant it was to discover that Boston municipal transport allows easy access to every spot without confusion, inconveniences or overpayment. Everything is united into a single MBTA net; thus, by purchasing one ticket you can get everywhere including suburbs. That said, the net includes ferries, too. I didn’t manage to check how convenient it was to use them. I had a chance to try subway instead and it surprised me a lot. No, it isn’t super-fast or double-decked. It’s just, alongside usual lines with electric trains there is this silver line with speedy underground trolleybuses. Probably, their only difference from above-ground electric brothers is absence of opportunity to get into a traffic jam – thus the speed. 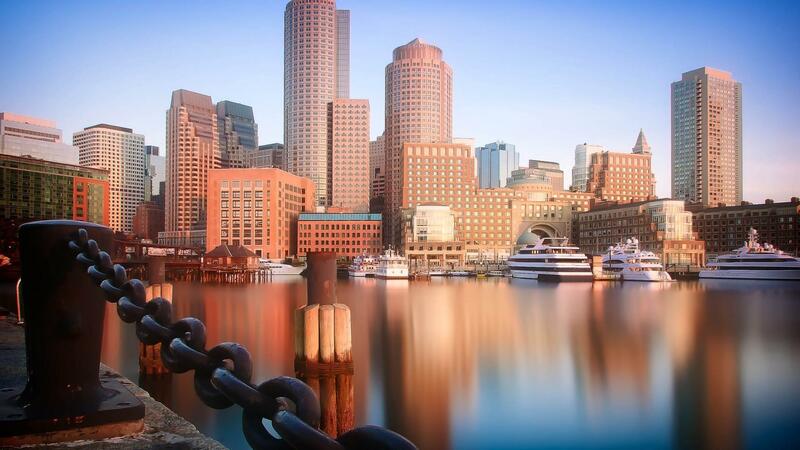 All in all, when it comes to arrangement of city life, American New England very much resembles good old Europe. No wonder that both culture and architecture of the region are considered the most European. And even numerous modern buildings are built-in smoothly not to disturb harmonious picture of Victorian-style historic districts. Having flipped pages of any guide book, one immediately pays attention to large number of museums in Boston. I’ve always thought I don’t like them much because you need to walk there quietly and even cough must be covered with a fist not to draw reproachful glances of strict museum attendants. However, Boston Science Museum turned out not to be like that at all. It is interactive and entertaining and even seems a bit superficial after our museums. Tables only give most basic information and in some cases you are left to guess nature of an exhibit. But there many things are clear without explanations. And it is incredibly interesting not just for children who can touch a bear’s fur or listen how this and that frog quacks, but also for adults who have long ago forgotten practical experiments of biology, chemistry and physics classes. I, in my due turn, was impressed with an incubator with a glass roof through which one can watch chickens break shells and spend first hour of their life (I wonder, where they take them afterwards from these museum-based production line). Also, experiments with electricity and other physics processes, that gradually become available in Ukraine, back then seemed to be something fantastic to me. Anyway, it is worth to visit at least one museum to own taste to appreciate a difference in organization of processes. Another bright impression is Boston’s quays. For instance, one should make a mental note about the region nearby Aquarium that can be accessed by foot from historic centre to process information and simply have some rest. There skyscrapers meet small brick buildings from last century and richly green Christopher Columbus Park with a picturesque Waterboat Marina. I suggest you stock on some sandwiches and sit on one of stone parapets. It has a view not only at the channel and numerous ships but also, surprise-surprise, at planes. Runways of the airport on the other side of the bay create an impression that planes take off from water and land in it, too. Nature co-exists with technology achievements of humanity in harmony there, without bringing tension or contradictions. 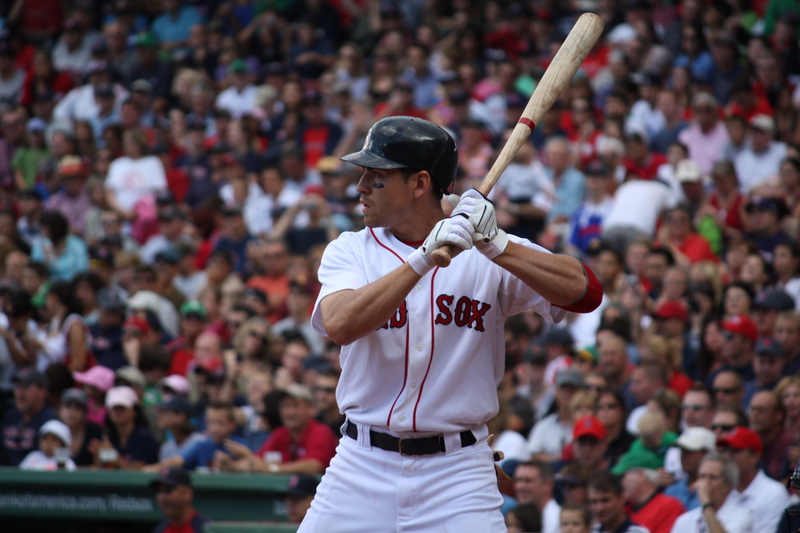 I very much feel like telling about another, slightly less intellectual, but not least important entertainment in Boston – about going to baseball matches where everybody is sure to support local Red Socks team. Even when it loses one game after another, loyal fans don’t lose heart and don’t cool their support down. This makes an atmosphere of joy and celebration reign regardless of the outcome of the battle. In this context the game itself is pretty boring, truth be told. Majority of people talk to each other as if this is why they came, consume hotdogs and drink liters of beer and cola. But should a special signal sound, everybody jumps to their feet to coherently sing traditional songs and support favorite team. Now, that’s a national entertainment that along the way helps all gas stations and shops around the stadium line their pockets on parking of thousands of cars. Together with your vehicle, you can leave there twenty to forty dollars in one night, depending on how go-ahead owners of the parking are, how convenient a parking spot is and how far it is from the place of the main event. And should you have some free time after the match, head to Cape Cod. This peninsular seemed to be some sort of continuation of Boston to me. Or even its reverse side. It is very beautiful, quite and calm there. Small bays and shoals on one side, noisy and menacing Atlantic Ocean on the other. This is exactly the place where one feels like having a lot of foot walks, thinking about personal stuff and finding peace. There is a good reason why many American writers mention Cape Cod in their works or even make it the main scene. Thus, for instance, in The Outermost House Henry Beston describes nature of the beach on the side of the ocean. Joseph Brodsky, too, paid attention to this location by writing a poem to 200’s anniversary of the United States called Lullaby of Cape Cod. He later declared that it wasn’t his intention but we all know there is no such thing as coincidence, right? And, the way they say in the States, last but not least worth mentioning is Harvard. That very Harvard, studying at which itself is considered as nearly as the largest achievement in life. 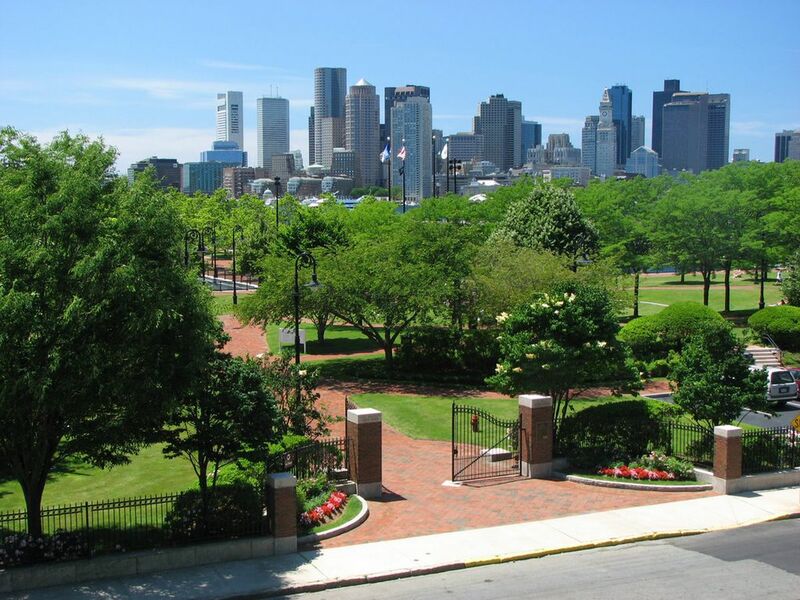 This eminent university is located in Cambridge, small town in Boston metropolitan area. Something doesn’t add up, you might think, because Cambridge University is situated on a completely different continent. And it is so, indeed. There is Harvard in American Cambridge and Cambridge in British Cambridge. Most important is not to confuse the two! And register another reference to European past of the New England. It is also felt in fundamental education and approach to academic base. 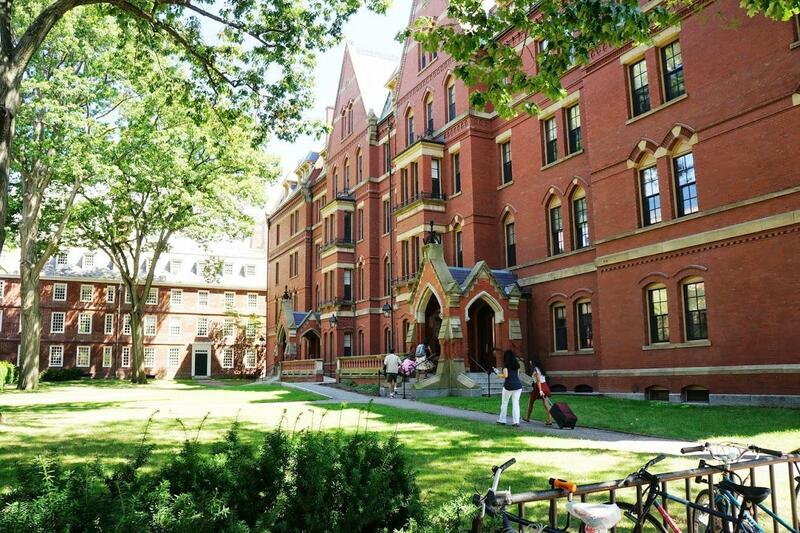 It is far more interesting for students than for tourists inside the walls of Harvard but one can at least try to capture the atmosphere of the world-famous Alma Mater. In conclusion I’d like to specify that in Boston one can spend several days, months or years and it will keep occasionally surprising you. Combination of historic past and confident movement towards the future changes its balance depending on the district, season or personal mood of a looking person. It is Rubik’s Cube of a kind that you can twist in your hands for a long time and try to assemble. It is possible that some will succeed at the first attempt. But I would like to come back there, see even more and shed light on new facets for the image of make an image the Massachusetts gentleman more complete. European coast of the Baltic Sea can boast of neither warm waters nor lasting beach season – this however does not prevent it from being a popular resort area. Great number of cozy coastal towns attracts tourists first of all with fresh and curative air as well as with the opportunity to “heal the eyes” looking at the cold sea and amazing landscapes. Sopot – main Baltic resort of Poland – exhibits all of these advantages to the full. Lisbon is one of the most beautiful and ancient cities in Europe, however, its territory is difficult for living and building due to its steep hilly terrain. Portuguese metropolis is situated on seven densely populated hills. That's why its hallmark is three funicular railroads and the elevator, without which tourists and residents would be much in trouble moving around the city. Context manager Bohdan Yanchev undertook a long-term journey to the United States. He spend six months there and not just visited large cities like Miami, New York and Washington but also worked in different positions, made numerous acquaintances with locals and visited places that ordinary tourists know nothing about. Upon his return he told us about his brightest impressions. Prague... It is romantic, decadent, sad and cheerful, sublime and spiritual, reflected in the flapping wings of well-fed seagulls on the Charles Bridge, in the mirror pools of Vltava River... Prague is a very attractive and slightly strange European city. Creative copywriter Masha Goldman once spent several winter days there and told us about Prague charms.